By the time I hit my late thirty-somethings, I thought my body was all out of surprises. We'd been through puberty, pregnancy and childbirth together, and it looked like the future of my reproductive system would be relatively uneventful. I was settling in for the long haul, ready to explore the fun of gray hair and having knees that sound like I'm pulling a sack of rocks down a gravel road every time I go up the stairs. I was prepared to enjoy middle age for a couple years before my body began its swirling descent into the madness of menopause. And then, it hit me. PERIMENOPAUSE. 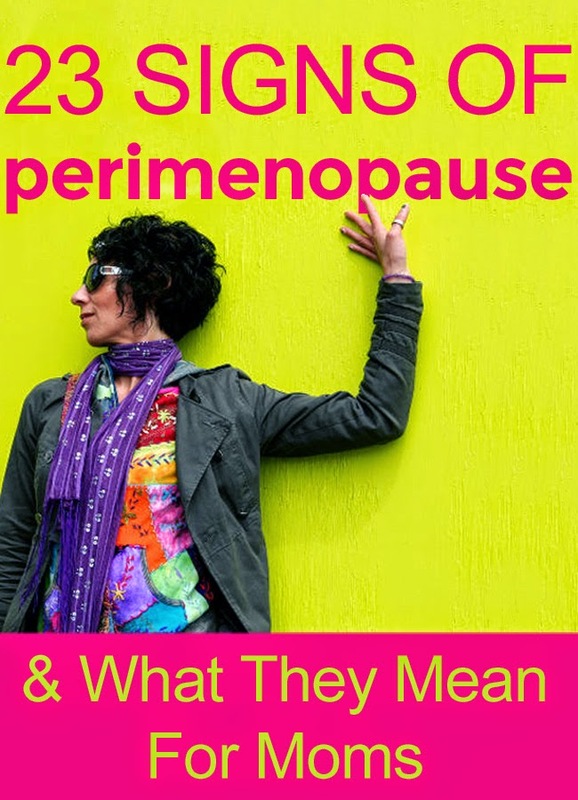 Join me over at mom.me where I share what you can expect (using terms that moms will find especially helpful) in 23 Signs of Perimenopause - and What They Mean For Moms!